Rangi Davis is a mother of seven grown children and twenty-two mokopuna. Born to strong fluent Maori speaking women, and grounded in nature. Tikanga Maori and Christianity has been the base of her groundedness. 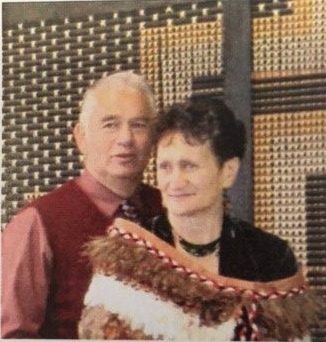 Having a deep appreciation for nature and natural elements through a Maori world view, a strong sense of values both Maori and Pakeha along with creative initiatives holds dear to her heart. Strengthening wahine leadership for the sake of her whanau, community, hapu and iwi is a strong calling. Come along and explore a wairua journey with Rangi. She will introduce you to Te Ao Maori, with simple whakawhanaungatanga, storytelling, waiata and build on the gifts and talents that come to the evening.